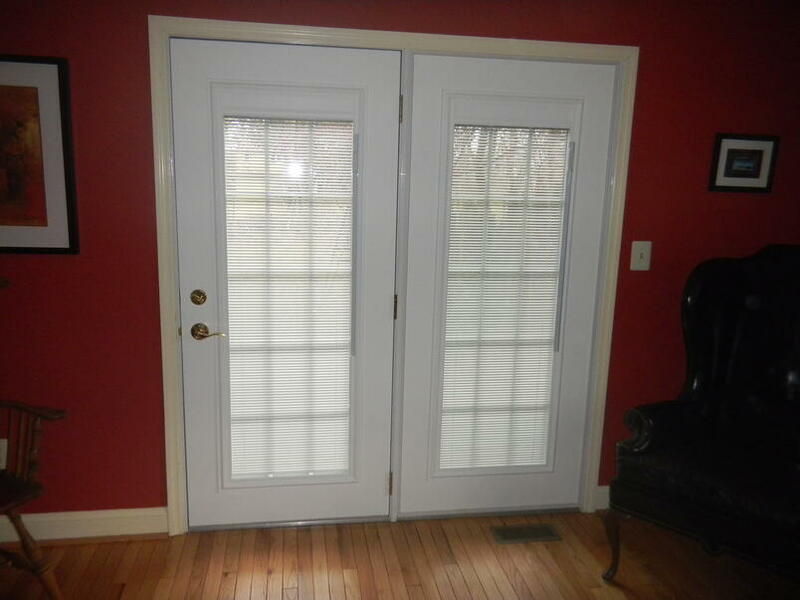 We often get requests for doors with blinds sealed between the two panes of glass. 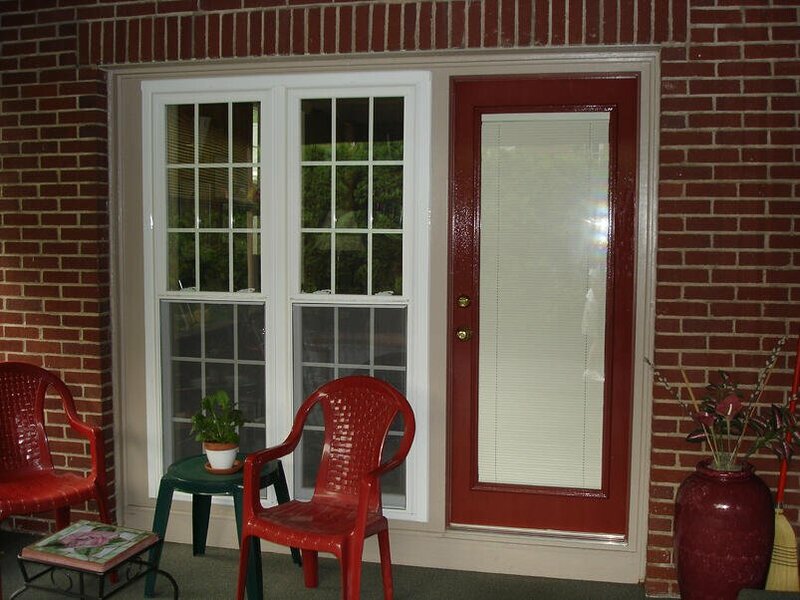 The main reason most people like this style of window or door treatment is convienience. You will never have to clean the blinds. Another big advantave is that kids and pets will not be able to accidently damage your blinds! 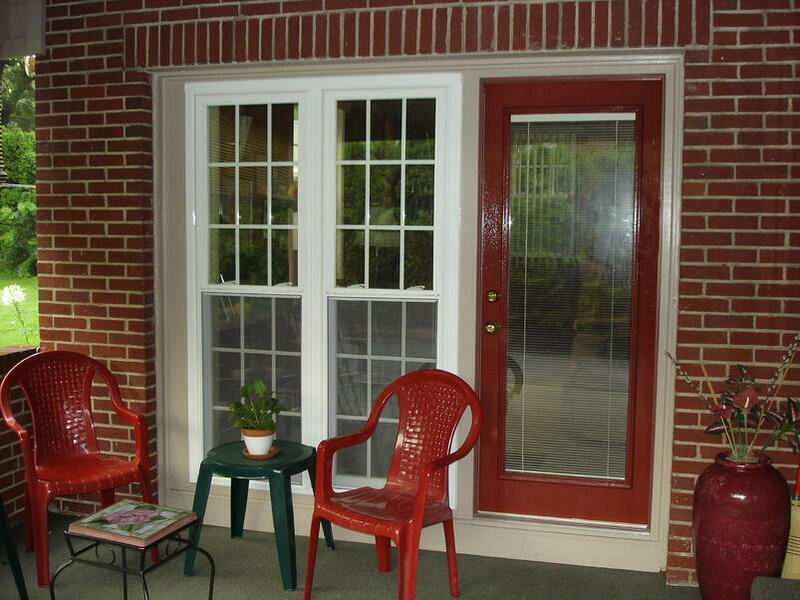 They will tilt, raise and lower without problems for many years after installation. Most manufacturers offer 10 year warrantees, and some manufacturers offer LIFETIME Guarantees on the performance of the blinds. Here is a happy customer explaining why he selected the internal blind option, while demonstrating how they work. 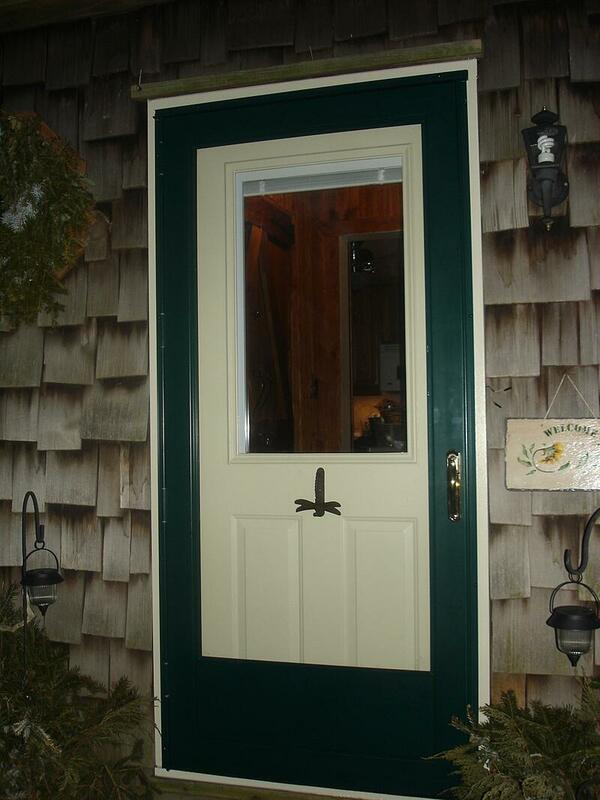 The photo below shows a double door, center hinged with "raise and lower" internal blinds. The following series of photos show how a window/door wall has been updated. The original space was converted from a garage into a family room. The windows were aluminum and the door was wood. 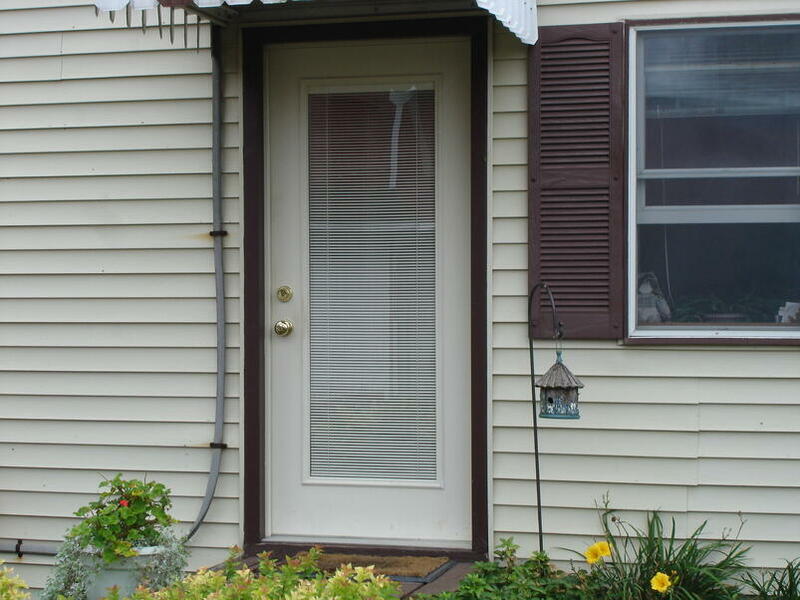 By changing to vinyl windows and a steel entry door, maintenance was virtually eliminated, while offering the homeowner the perfect solution to the traditional problem of blinds on a door...put them inside the glass! 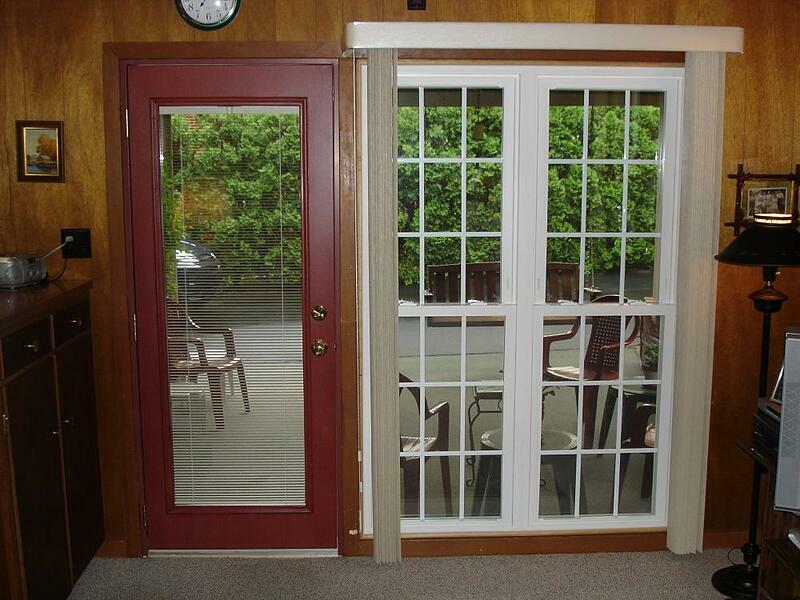 Below is a door with half glass and the internal blind option. 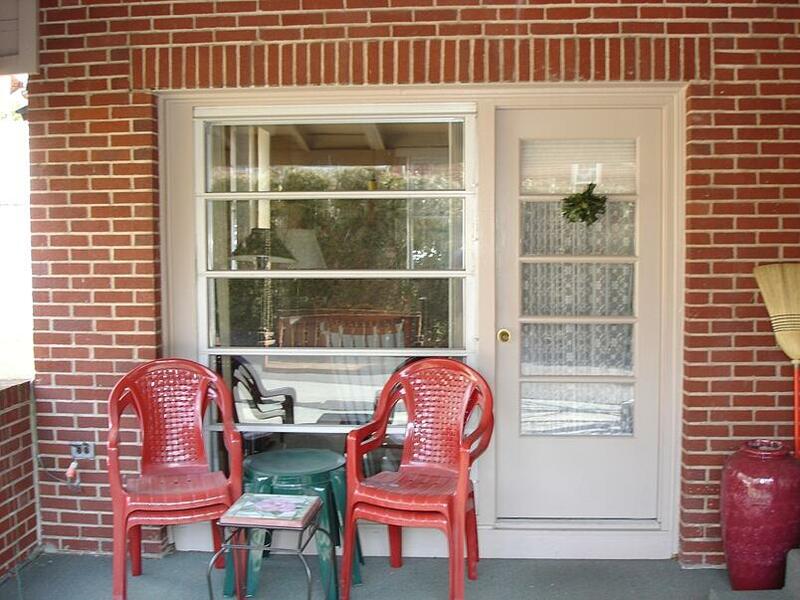 There is a storm door added to allow ventilation when needed. See the following photo to view the blinds in the closed position. 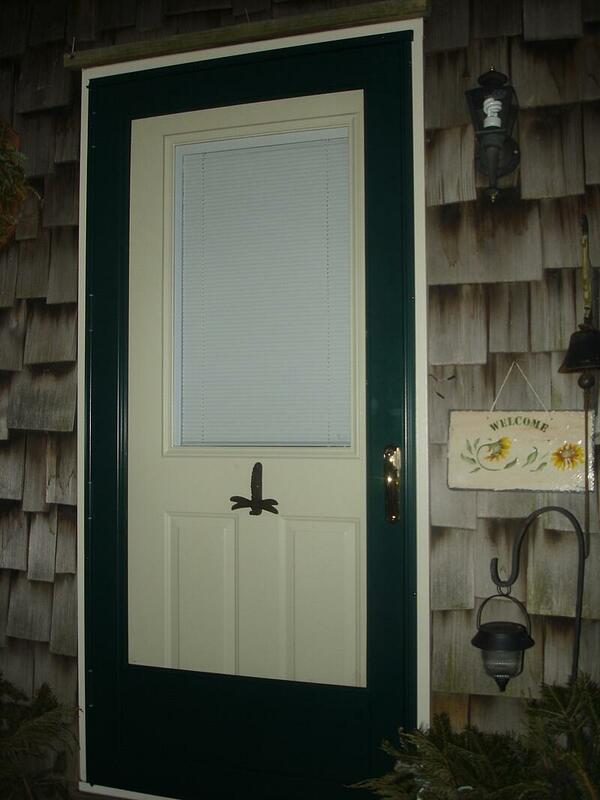 As you can see, there are many choices for you to utilize the privacy and safety of the internal blind feature available in the state of the art steel doors being manufactured today. To get further information about styles, options, colors and prices, fill out the request form on this page to have a representitive contact you about your questions.